Commercial Cleaning & Restoration is the leading expert in carpet, tile, area rug, and hard surface maintenance. If you think you may have a mold growth problem in your home or office call us today and we will have a mold removal expert on his way. We will help put your mind at ease and make sure your home or office space is safe. Commercial Cleaning & Restoration is AVAILABLE 24/7 to handle the situation so you don’t have to. CALL RIGHT NOW! Our professionals can greatly extend the life of your flooring with expert floorcare services. When your home or office suffers from a disaster Commercial Cleaning & Restoration can provide full repair and remodel services. From carpet and upholstery to hard floor maintenance, our experienced team at Commercial Cleaning & Restoration can help keep your commercial space clean. Need your floors deep cleaned? Tired of scrubbing the floors by hand. Tired of that dirty looking grout? Want your floors sparkling for the holidays or safe enough for children to play on? Get your floors clean today! Dirt can build up over time and make your floors look discolored and dull. Sometimes mopping pushes dirt into the grout causing it to change color. No matter how hard your scrub, your floors will never be as clean as a professional cleaner can get them. Commercial Cleaning & Restoration uses specialized equipment and techniques to remove dirt, mold, and grime. We will have your floors looking new again! We are ready and able to help. Call today to set up your cleaning appointment. Pet hair or stains on your area rugs got you feeling down? When was the last time you had the rugs in your house cleaned? Let us get your rugs looking new again! Commercial Cleaning & Restoration specializes in cleaning all types of area rugs and flooring. Proper care will make your rugs last a lifetime. This should include regular professional cleaning. We are premier experts in cleaning wool, silk, cotton, and various blends. We pick up and deliver. Every time a Monsoon storm hits Tucson, someone’s house gets flooded. 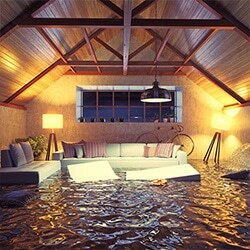 During the monsoons we also expect to see other types of water damage. We are ready and able to help. Please call any time of day or night. If any of this has happened to you we feel your pain. We’ve been there ourselves. 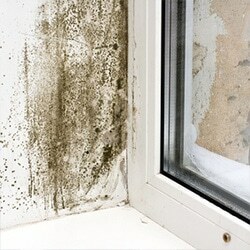 Any structure that has water damage is a breeding ground for mold. It only takes 2 days for damp wet areas to start growing mold. Ever forget wet clothes in a washing machine and see how fast it gets smelly and moldy? Well picture that in your walls or carpeting. Contact us immediately if you have water damage so we can quickly dry it out and stop mold in its tracks! 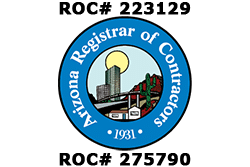 Family-owned and operated since it started in 1985, Commercial Carpet Cleaning Inc. dba Commercial Cleaning & Restoration is the leading Tucson cleaning expert in carpet, tile, area rug, and hard surface maintenance. 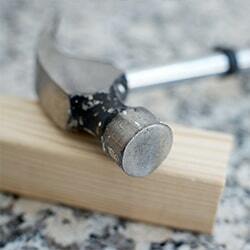 We also specialize in comprehensive water damage restoration services and effective mold remediation. Homeowners, residential property managers, and commercial facilities managers all find that Commercial Cleaning & Restoration owners Richard and Margret Huebner personally ensure that every customer and their property are treated with courtesy, respect, and the utmost professionalism. Commercial Cleaning & Restoration performs every service with a level of knowledge and expertise that is simply unmatched. You won’t find a better company for complete floor care and water restoration in Tucson!